Best Picture Festival 2019: Day 1 is coming soon!Sign up to be notified when tickets go on sale near you. 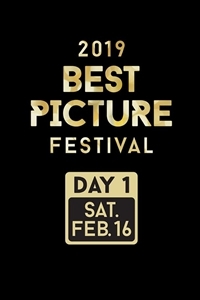 usheru will use your email to let you know when tickets for Best Picture Festival 2019: Day 1 go on sale. Day 1 ScheduleNominated Live Action Shorts - 11:00 a.m.Green Book - 1:35 p.m.A Star is Born - 4:20 p.m.BlacKkKlansman - 7:10 p.m.